Harvest time can be stressful for farmers but by leaving your transport requirements in good hands you can tick one of your items off your ‘to do’ list and leave it up to Creaser Haulage and Bobcat – your freight is their business. Harvest time in the Limestone Coast region is always a hive of activity and taking grain from the paddock to the silos is a critical step in the process which will lead to a profitable outcome. 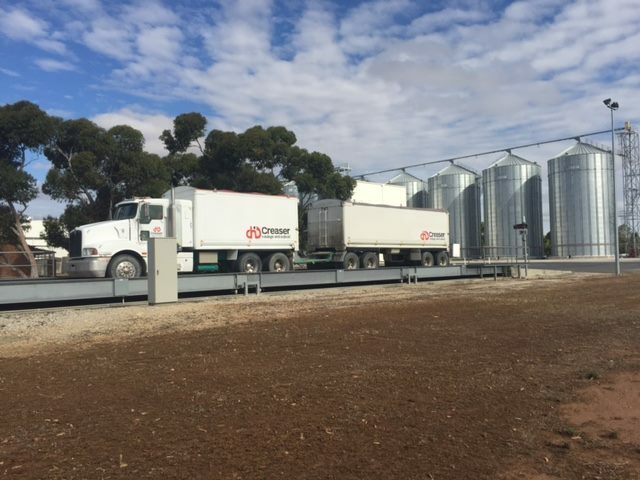 Creaser Haulage and Bobcat have fine-tuned their grain cartage service with their attention to detail, efficiency and reliability to ensure your valuable grain gets to its destination without delay. Using two beautifully maintained T401 Kenworth Trucks, grain cartage is a seamless service using these sturdy workhorses with their powerful engines and capacity to haul a quad dog carting 32 tonnes and a Hercules tipper, carting 29 tonnes. Experienced drivers Dean Creaser and his son Shaun are kept busy operating the trucks during harvest. Both hold Worksafe approved white cards and rigorously follow all Occupational Health & Safety standards. Creaser Haulage and Bobcat comply with the Chain of Responsibility in the overall operation of heavy vehicles. Read Chain of Responsibility Factsheet from NatRoad to better understand your responsibilities. All trucks are accredited with the NVHAS, Mass & Maintenance schemes.These ensures all vehicles are operated according to National Standards. Recognised as a specialist in the grain cartage arena, Creaser Haulage and Bobcat has been in the industry for more than 17 years, serving the Tatiara and Limestone Coast region with efficiency and reliability. Providing competitive and reliable bulk grain cartage, Creaser Haulage and Bobcat is happy to provide you with a no obligation quote for work at harvest time as well as throughout the year. Call Dean on 0427 521 061 today to discuss your requirements.